10. Kirk McLean, Vancouver Canucks. Griffin mask designed by Frank Cipra, 1995-97. 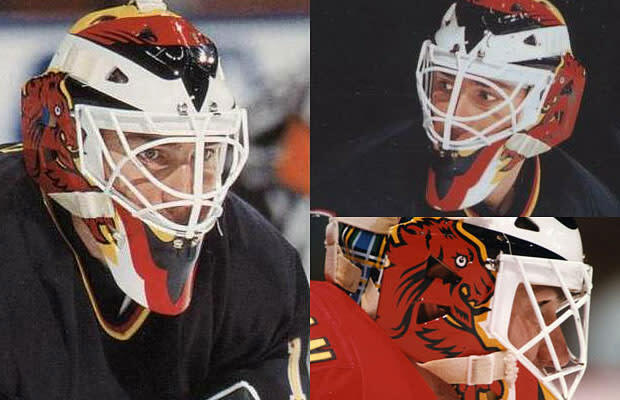 McLean was one of the best style goaltenders of all time, and he donned a Scottish griffin on each side of his mask as well as his clan's plaid on the back. Plaid is still cool, right?